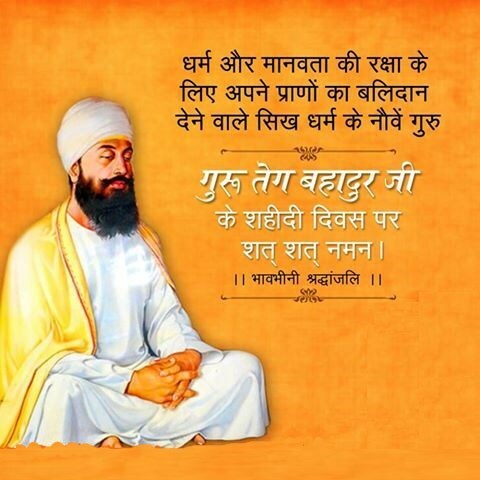 Guru Tegh Bahadur ji Facts, Quotes, Sayings, Slogan, poem & Images on his Death Anniversary 2018: Guru Tegh Bahadur was born on 1st April 1621, who was the ninth of ten Gurus of the Sikh religion. 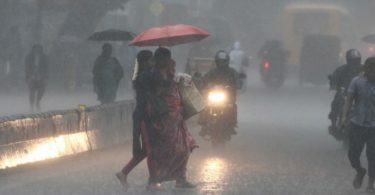 He is also known as The Shield of India, Mighty of the Sword, The Ninth Master and The Ninth Nanak. He continued his life in Spiritual assistances to Guru Granth Sahib. He is also the Founder of Anandpur Sahib as well as the founder of Patiala. He was executed for protecting religious freedom of Kashmiri Hindu Pandits and himself from 1675 orders of Mughal emperor Aurangzeb in Delhi for converting to Islam. 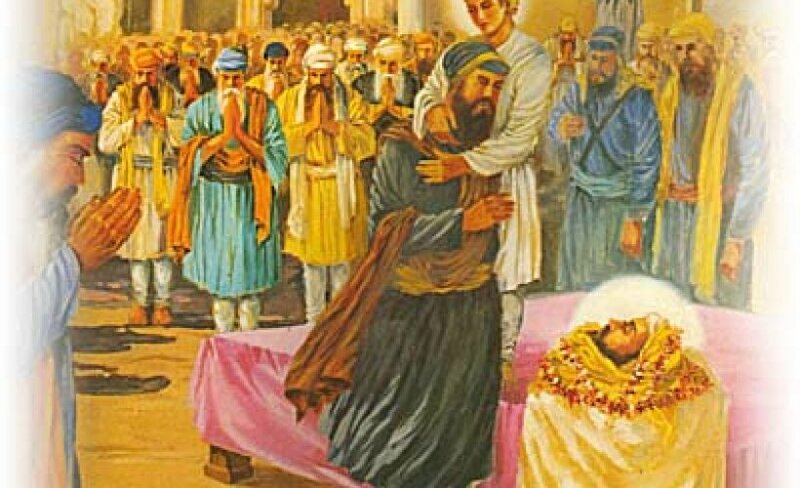 The martyrdom and the sacrifice of Guru Tegh Bahadur for the religious freedom is honoured every year on 24th November on the day of his death. So here on his death anniversary, we are going to provide you some of the facts, quotes and poem about him so let’s have a look. 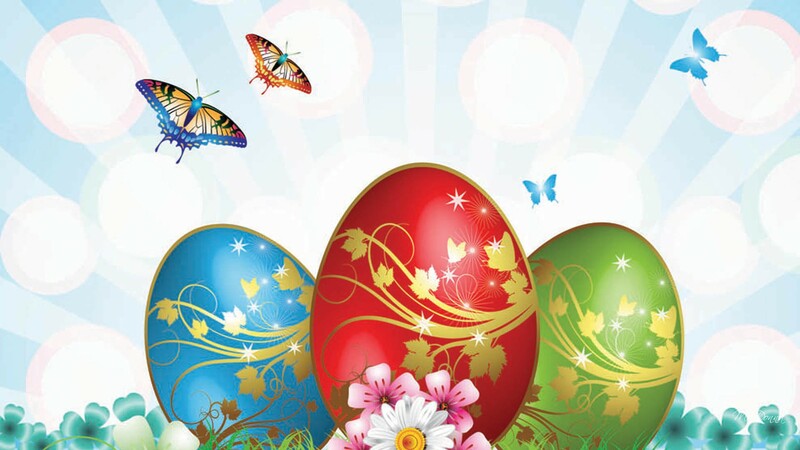 He protected the ‘Janeu’ and ‘Tilak’ of the Hindus It was a great event in the modern ages. For the sake of humankind, he sacrificed himself. He laid down His head but not His creed. 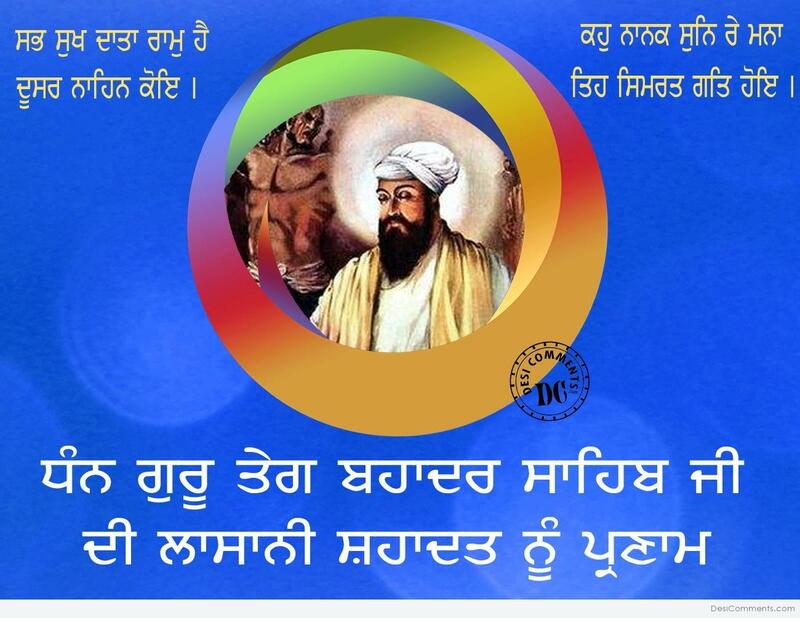 Guru Tegh Bahadur was born on 1st April 1621, Tyaga Mal in mughl empire which is presently located in Amritsar, Punjab. At the age of just fourteen he showed his extreme bravery in the battlefield against Mughals. 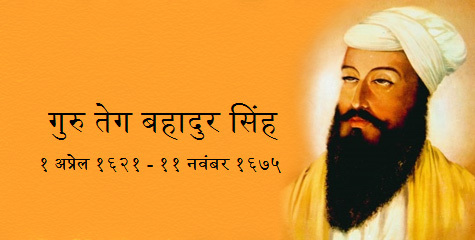 At the time of his birth he was known as Tyaga Mal but later, Guru Hargobind gave him the name Guru Tegh Bahadur. 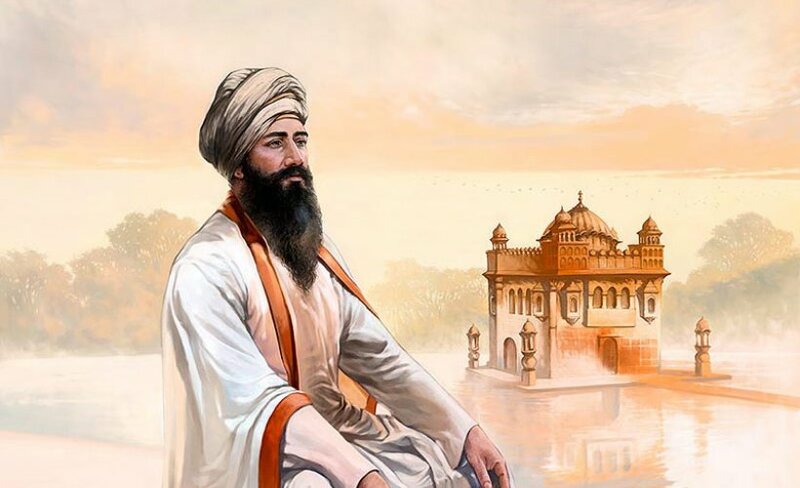 He is famously known for the protection of Sikh and the Kashmiri Hindu Pandits culture against a 17th century law by the Mughal emperor Aurangzeb which forced them to convert their religion to Islam. He was expert in archery and was trained by Bhai Buddha along with horsemanship and old classics which was taught by Bhai Gurdas. 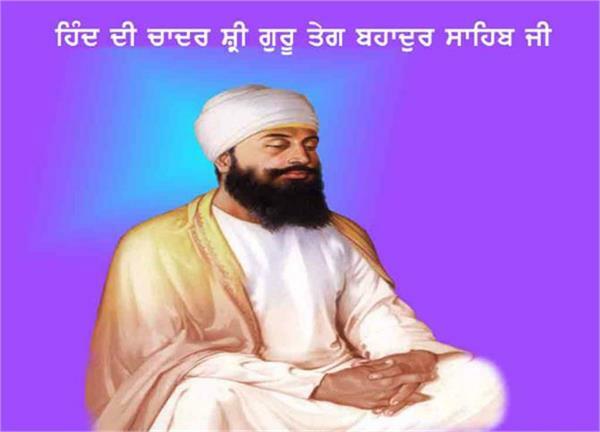 Guru Tegh Bahadur spent most of his time meditating. He meditated at Bakala for about 26 years 9 months 13 days. He is also the Founder of Anandpur Sahib as well as the founder of Patiala. 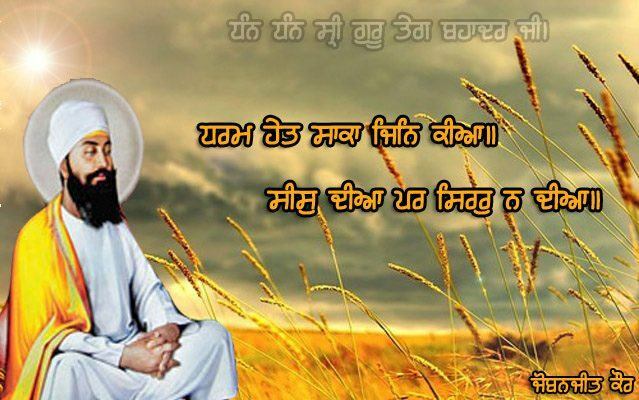 He composed 115 hymns that are mentioned in Guru Granth Sahib. He travelled all across India and the places he visited later became spots for Sikh temples. The location where Guru Tegh Bahadur was executed marked as Gurudwara Sisganj Sahib Sikh temple in Delhi. 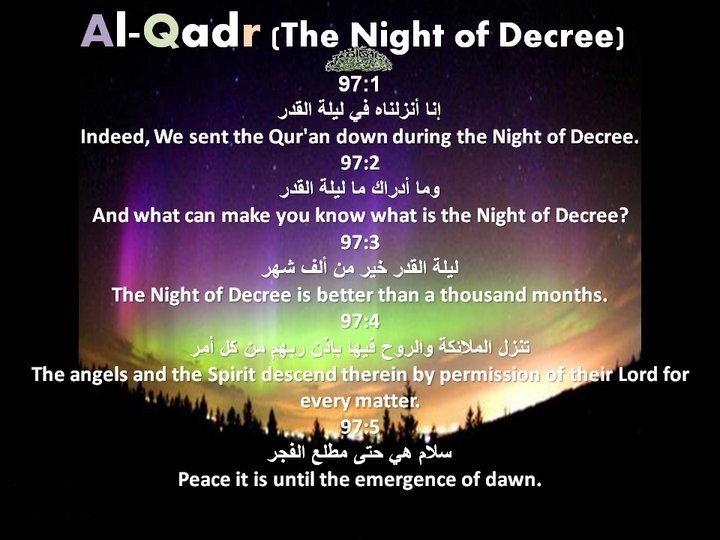 His works are included in Adi Granth as well as also include 116 shabads, and 15 ragas. 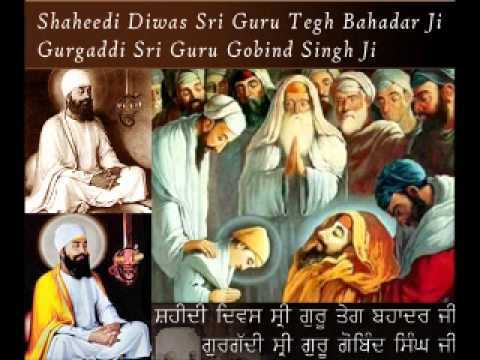 Guru Tegh Bahadur was executed in the year 1675, Delhi by the orders of the Mughal Emperor Aurangzeb.